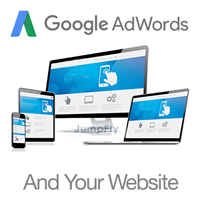 Your website can make or break the success of your Google AdWords advertising. In order to get the most out of campaigns, your landing page should be optimized for AdWords and be focused on potential customers and their goals. Google wants customers to receive a good experience when they click on your ads. Make Google happy by optimizing your landing page and it can lead to more conversions and better quality scores. Have a poor quality website, and it will almost certainly result in failure. Your landing page should be relevant to your keywords and ad text. Be clear and convincing about your unique selling points. Why should a customer choose you over a competitor? Clearly state who you are, what you do and how/where to contact you. If you ask for personal information, be clear about why you need it and what you are going to do with it. Information should be readily available to customers, without them having to search further. Don’t interfere with customers navigating to your site. No pop-ups! Show customers they have landed in the correct place and what they should do next (your Call-to-Action). Also keep in mind the functionality of your checkout process. If people have a hard time purchasing items on your website, they will get frustrated and simply leave. The purchase process should be as simple and quick as possible. Finally, optimize your landing page for mobile devices. Mobile is not going away. The number of people shopping on their phones is only going to increase. Nobody likes shopping on a hard to read, difficult to navigate page. Don’t give people an excuse to go somewhere else! Keep it simple, create a call-to-action, add local info and have a user-friendly checkout process. You can also learn some interesting and potentially valuable mobile facts that JumpFly picked up at Google Mobile Guru Day. 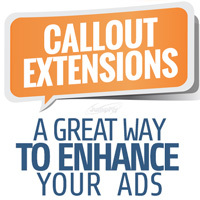 Last month Google announced callout extensions, a new type of ad extension in AdWords. The callout ad extension allows advertisers to include additional text that provides details about their website, before potential customers even click an ad. Businesses can draw attention to specific products and services they offer, such as free shipping, price matching or anything else that might make them stand out from competitors. Callouts appear below text ads and can also be shown with other ad extensions. Google requires a minimum of two callout extensions per account, campaign or ad group. However, they do suggest creating four callouts per level to ensure as many callouts as possible are available to show with the ad. With a little PPC management, callout extensions are updated very easily. For example, you can keep your special offers and sales current without having to create or edit text ads. And unlike text ads, if you edit callouts, you won’t reset any of the performance statistics! Comprehensive reports allow you to see the number of clicks on your ad when the callouts appeared at the campaign, ad group or ad levels. They can also be scheduled, allowing you to select the day or time callouts show. The reporting and scheduling features are available from the Ad extensions tab. There are some best practices to keep in mind. Google has discovered that ads using sentence capitalization perform better than those with title capitalization. For example: “Free shipping” vs. “Free Shipping”. In addition, callouts may have a maximum of 25 characters, but Google recommends keeping text short, using a maximum of 12-15 characters. Callouts should be like a bullet point, using specific details to help customers decide whether or not your website is the one they are looking for. Callouts started rolling out September 3rd, and should now be available to all AdWords accounts. Take advantage of this valuable, additional ad real estate. Even though Google dominates the US search market, advertisers shouldn’t overlook the almost 30% that Bing/Yahoo controls. 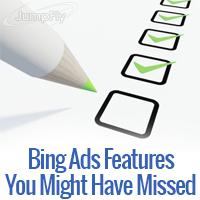 With most of a PPC professional’s time focused on Google AdWords, it’s easy to miss out on the different features Bing Ads has to offer. Unlike Google AdWords, in Bing Ads you are able to monitor the performance of the search partner network with their Publisher Performance report. This can be found in the reports area of the Bing Ads UI. Then you can easily exclude the search partner sites that have performed poorly by simply pasting them into Bing Ads Editor. Just select the campaign you want, click on “Exclude Websites” and paste. Bing has also been retooling the User Interface in order to increase efficiency and productivity. Like Google AdWords, Bing now has added a navigation pane so advertisers can easily navigate their accounts. From the left side of your screen you can switch between your campaigns, ad groups, keywords and even ads. If you are looking for a specific keyword and want it fast, simply type in the search box and the term will appear in the results. On the navigation pane, you can also create a campaign, import campaigns or change your account settings. If your screen is getting a little cramped and you need more room, just collapse the pane by clicking on the arrow located on the top right side. The new navigation pane definitely makes campaign management much easier and saves you time! There are always features being added to Bing, so make sure you stay on top of them by checking out the Bing Ads Support website.